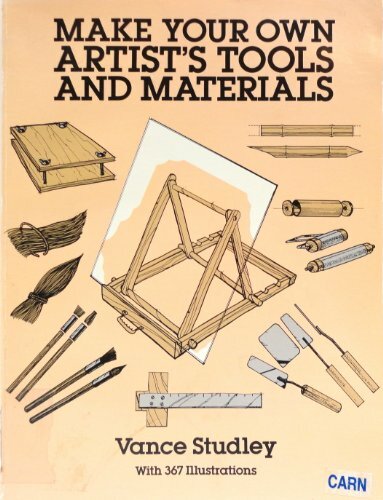 With this detailed, lavishly illustrated guidebook, artists can learn to make the tools, materials and equipment essential to create artworks of many different kinds—paintings, drawings, watercolors and prints—at great savings. Items include fine-quality pigments, brushes, bamboo pens, palettes, felt-tip markers, etching needles, linoleum blocks, brayers and rollers, crayons, woodblock presses, paper-making essentials, an artist’s toolbox, a simple work table, a portable drafting table and much, much more. 367 illustrations.